Radio Revolution (ee-gool records/KR) is a Shanghai based Korean artist. He has been in the music scene for over two decades. His musical career began in 1998 as a versatile DJ, pursuing the mastery of a number of music genres (House , techno , minimal , ambient, deep house …). Radio Revolution started to DJ at a radio station. In the beginning he was collecting vinyl and spreading fantastic tunes for music lovers over the airwaves. After 2 years as a radio DJ he transitioned to the underground club scene. These different formats have helped mold his diversity. He has deejayed all over the world and across exotic lands. 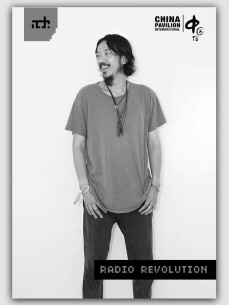 He is also the founder of Bunker TV project & Bunker crew. Bunker TV is an underground music online stream in China. As the founder of ee-gool records in Busan, South Korea, he is at the vanguard of the underground music in the region.